Last weekend was a highlight for the I Was Broke. Now I'm Not. (IWBNIN) Team. Paul went to Dallas. I went to St. Louis. I spoke at Meadow Heights (Pastor Bryan Mills) and taught the Financial Learning Experience at both of their campuses. It went INCREDIBLE! Tons of people showed up, and the message series taught by Bryan had them prepared to take action with their finances. Meanwhile in Dallas, Paul taught the Financial Counselor Experience and trained six new financial counselors at Springcreek Church to help them launch their new financial ministry. Bob Bickford's planning was absolutely incredible. Seriously, if you want to talk to someone who has a vision for impacting a community with practical biblical financial teaching, you should contact Bob. I traveled from St. Louis to Dallas. I taught the Financial Learning Experience to an audience of more than 500 people! Incredible. Over 30% of the adult population of Springcreek showed up to a financial seminar. Life change took place. 104 people signed up for one-on-one financial counseling (glad Paul trained counselors! 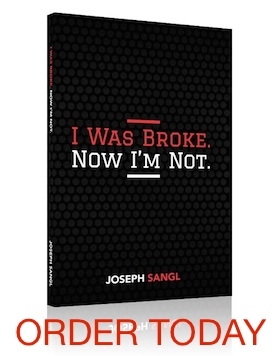 ), 101 signed up for the I Was Broke. Now I'm Not. Group Study. Paul and I jumped a plane home to SC. It was a weekend spent helping others accomplish far more than they ever thought possible with their personal finances so that they can go do EXACTLY what they have been put on earth to do. That, my friends, is what this crusade is all about!